Christina Askew, American businesswoman of Santa Monica, California and owner of the Sausage Factory located on Coco Plum Drive, San Pedro Town reported to the Police that on Friday, March 14th she fired the factory’s manager and the assistant manager. She then conducted an internal audit of the business and at her conclusion she discovered that the following monies to the total value of $25,577.66 were missing and suspects that the monies were stolen by her former employees. Police investigations continue. Harold Arthurs, office assistant at Carts Belize Golf Cart Rentals in San Pedro Town reported that on Friday, March 21st at around 9PM while driving a white and yellow golf cart, with license plate SP C-2055 belonging to the company, and just after Passing Crazy Canucks entrance, he saw a motorcycle being driven from his opposite direction. He stated that he saw the motorcycle knock down a young boy who was riding on a bicycle. The motorcycle lost control, colliding into the gulf cart that Arthurs was driving. He further stated that his cousin 20-year-old Dericka Castro, who was along with him and two more friends flew off the golf cart due to the impact. Castro sustained a scrape to her left knee and went unconscious. She was transported to the San Pedro Polyclinic where she regained consciousness. A Notice of Intended Prosecution was served to the driver of the motorcycle, identifies as 20-year-old Jonathan Lavastida, boat captain of DFC Area, San Pedro Town. Police investigations continue. Glenford White, of DFC Area, San Pedro Town visited the San Pedro town Police Station and reported that on Saturday, March 22ndat about 10:30PM, he went to a shop located in the Central Park area to use the restroom and was approached by a tall “brown skinned” male person and two other male persons of darker complexion. The ‘brown-skinned man’ took a knife from his pocket and placed it to his chest saying to him not to make any noise or else he will push the knife in him. The other male person then placed the knife to his throat and took away his gold chain valued $2,700 and $700 in cash from his left pocket. Police investigations continue. On Monday, March 25th at 10:45AM police on motorcycle patrol in the Boca Del Rio Area, conducted a search on a male person which led to the discovery of an amount of suspected cannabis wrapped tightly in a bundle. He was informed of the offence committed, cautioned and informed of his constitutional rights and escorted to the San Pedro Police Station and is pending charges of Possession of Controlled Drugs. He was later identifies as Melvin OrlandoRequena, 23years old, construction worker of North Ambergris Caye. The drugs were weighed and amounted to 28.9 grams. Requena was then charged for Possession of Controlled Drug to wit: 28.9 grams of Cannabis. In September of 2013 San Pedro Police arrested and charged Holando Smith, a Jamaican musician also known as Blackehenoh, for the stabbing of Elbert Swift, also known as DJ Chabo. The incident occurred on Friday March 27, 2013 and as a result, Smith was charged for harm. That case was dismissed by Magistrate Sherigne Rodriguez on March 21st. On the day of the incident, shortly after 6PM, local known DJ Chabowas was stabbed several times to the center of his chest, left side of his neck and left side of his rib cage during an altercation on Barrier Reef Drive. Witnesses claimed they saw Smith attacking Swift and inflicting the stab wounds. Smith allegedly fled the scene and was later apprehended by police. Swift was summoned to appear before the San Pedro Magistrate Court on March 21st. After “non-appearance” of the virtual complainant [DJ Chabowas] Magistrate Rodriguez dismissed the case and Smith was allowed to leave the court a free man. Two tour guides on Caye Caulker Village were arrested and charged after they attempted to bribe a senior police officer. They are 28 year old Argyle Jex and 30 year old Luis Cal, both of Caye Caulker Village. On Saturday March 22nd, the two guides were detained by police based on the suspicion of the possession of drugs. While in police custody, Jex and Cal attempted to bribe Senior Superintendent of police Edward Broaster with $100 for their release. Broaster entered the bribery as a report and the men were charged for attempting to corrupt an officer. 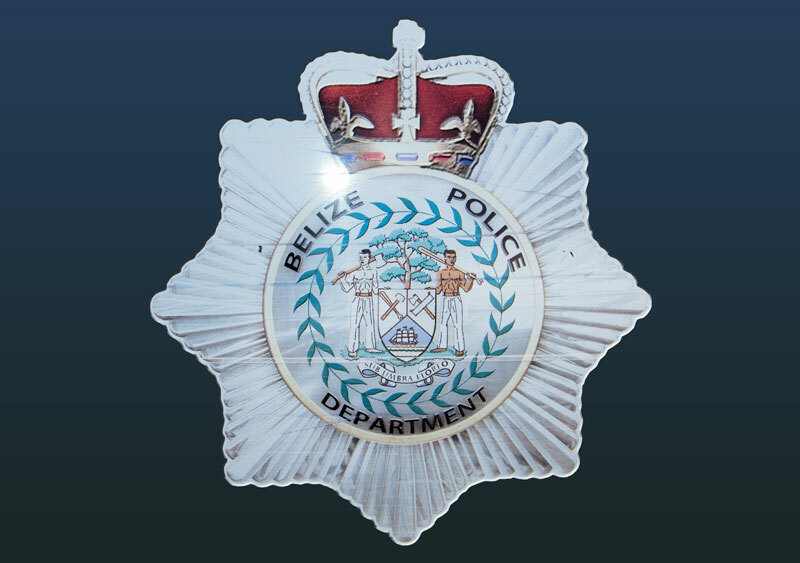 The men appeared before Chief Magistrate Anne Marie Smith in a Belize City courtroom on Monday March 24th where they were jointly charged with attempting to corrupt an officer. Both men pleaded not guilty and were each granted a $1,000 bail. Chief Magistrate Smith has set their next court date for May 15th and ordered both men report to the San Pedro Police station every Monday.